← Only light is direct. Venus and Jupiter. All inner teachings have layers. Some are as obvious as the layers of skin, muscles, and bones, each deeper inside and more substantial, while other layers are subtle. Those, however, are usually more pervasive. An analogy would be to the lymphatic or endocrine systems of the body. If lymph doesn’t move properly, illness anywhere is probable. If the endocrine system is out of balance, emotions, mind, and physical body will be rendered ill or significantly compromised. 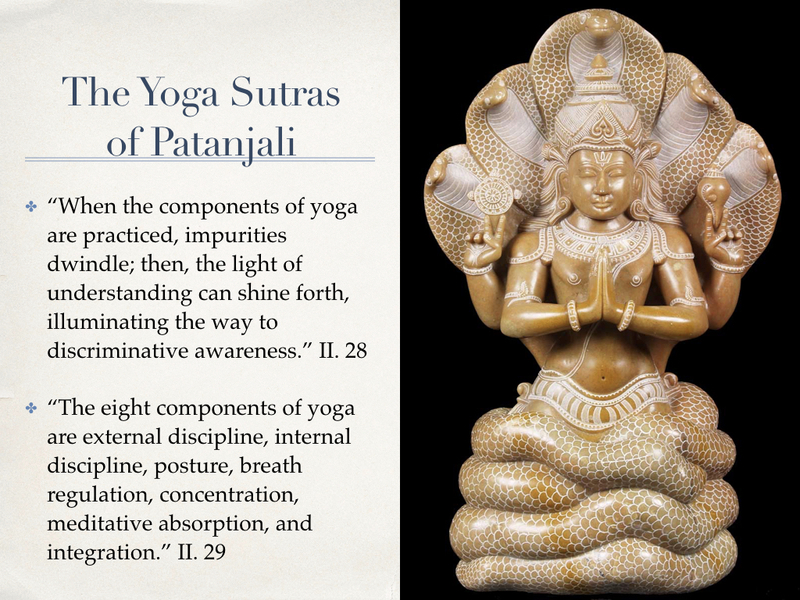 Stemming from Patanjali’s sutra on the graphic, we explore a few words for some obvious layers before meditating.